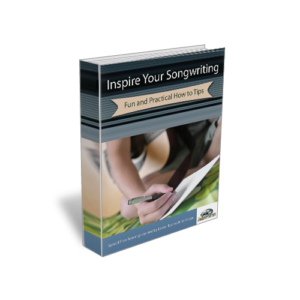 Home » Where do songwriters get inspiration for chord progressions? Where do songwriters get inspiration for chord progressions? There are many ways to get inspiration for chord progressions. One way is to find one of your favorite songs and learn the chords of the songs. Once you get a few songs figured out you may begin to notice certain patterns emerge. Of course there are other ways to find and discover chord progressions. Here is a basic “Formula” for creating chord progressions. Each key comprises of three different classes of chords. These classes are called, Tonic, Dominant, and Sub-Dominant. The tonic class consists of two chords, one built upon the first scale step. The tonic note is the first note of the major scale, The two chords of the tonic class include the I and vi chords. The dominant class consists of notes based on the fifth scale step. The dominate also has three chords. These chords include the V, iii and vii chords. The vii is seldom used. The last class of chords is the sub-dominant. This class contains two chords. These chords include the IV and ii chords. The basis of this class is built on the second note of the scale. The chords of the Dominant class can primarily progress into those of the Tonic class. On occasion, it the dominant move to the sub-dominant but preference is given to the tonic. The chords of the sub-dominant class mostly progress to the dominant class. Not only does it provided an explanation about how chord progression are built, there is also a list of the most common chord progressions. I hope this helps you. « What is the key to create great melodies? Here’s a tip on the final stage of the songwriting process, the demo. In terms of choosing the format in which you should submit your demos, cassette tapes once upon a time were the only format that was accepted. However, this is changing. CDs are becoming the format of choice for more and more publishing houses. With a CD, multiple song submissions become possible, as to skip to the next song is simple. However, cassettes are still required by the submission policies of some publishing companies. Always check and make double sure that the format you are submitting is within the company’s guidelines.